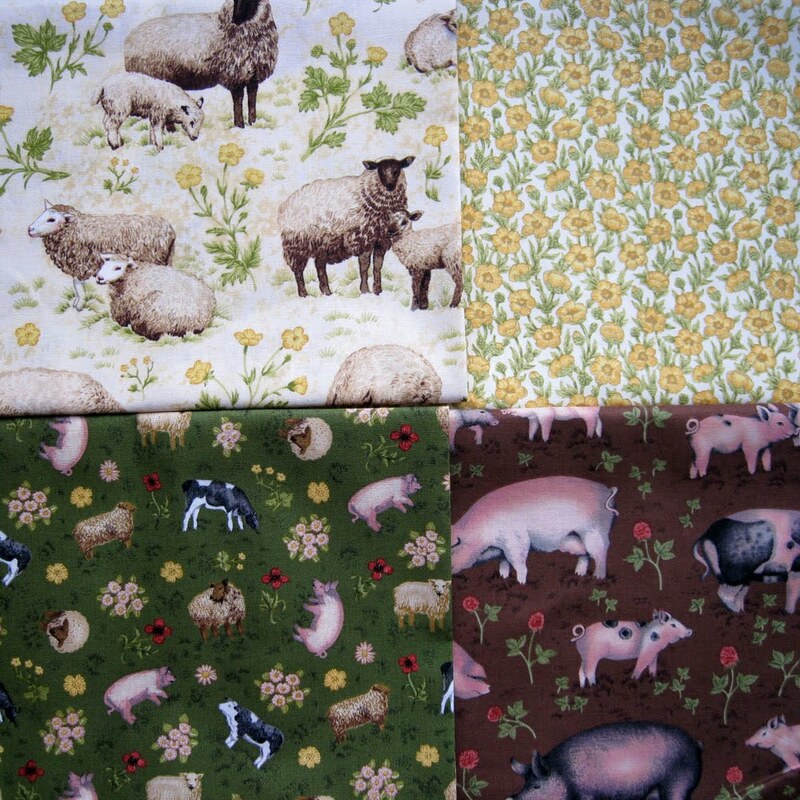 I have two bundles of fabric to giveaway to celebrate the launch of my new fabric collection “Buttercup Farm” for Makower UK, (Andover USA). Each bundle consists of four different fat quarters of top quality cotton fabric suitable for quilting and crafting. If you would like to win one of these bundles please indicate your wish to take part and I will put your name into the hat. Two lucky winners will be drawn on Monday the seventh of December. You may even have time to make a last minute Christmas present out of them? We have been getting into festive mood here in my little home town in Cheshire, Sunday saw the switching on of the Christmas lights together with a Christmas fair and firework display. 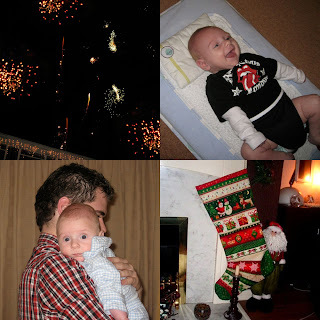 I am not sure what our baby grandson thought of the lights but he certainly enjoyed playing on his mat, he has just started to smile so I had to sneak this picture onto the blog. I have been busy sewing up a stocking for him from a printed panel, as you can see it is big enough to double up as a sleeping bag for a spare guest! Lovely things in the post. Thank you “Milly” from Drawings From Nature for my lovely set of art cards which arrived in the post earlier this week. I first came across the work of this artist/illustrator Eileen Postlethwaite when she was featured in Country Living magazine. 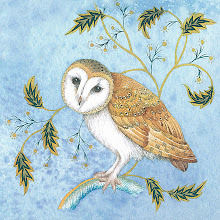 Eileen has a website which features her nature inspired artwork, feathers, leaves and shells etc found around her home in the beautiful English Lake District. 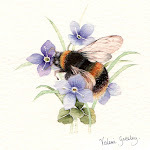 Country Living magazine also features the work of another artist this month, that is Celia Hart from Purple Podded Peas. Celia is an illustrator and printmaker who has a bold and colourful contemporary style. 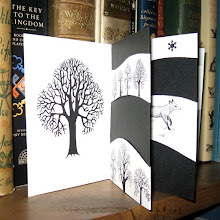 She also has hand bound children’s books in her Etsy shop and I simply could not resist buying this little treasure, I still have a set of her tree decorations from last year which I am looking forward to displaying. 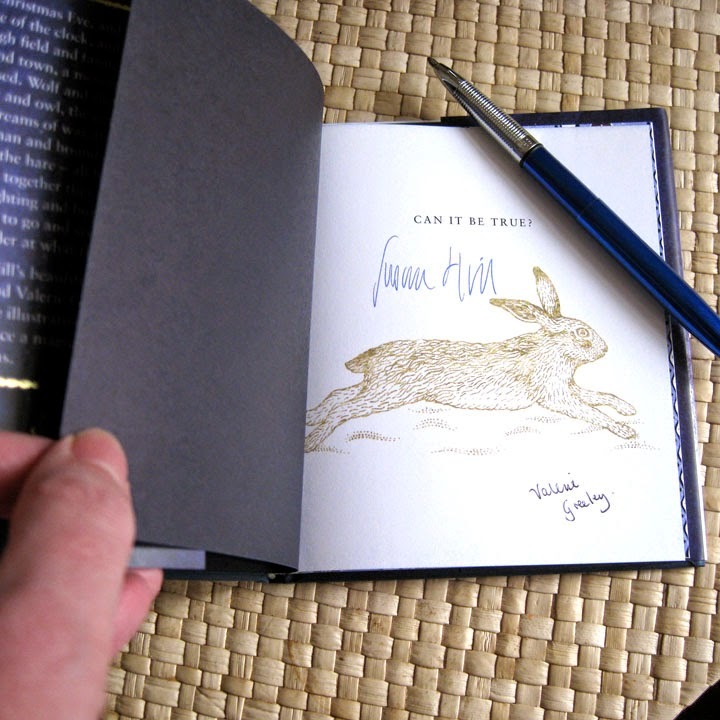 Last but not least, artist Frances Tyrrell from Fairy Lanterns has the most exquisite, hand bound fairy inspired books on her website and as it is Christmas and I do so love hand bound books, I had to have a set. My Christmas present to me from me, you do understand don't you? Before you go, one more thing, I will be having a blog giveaway in my next post. 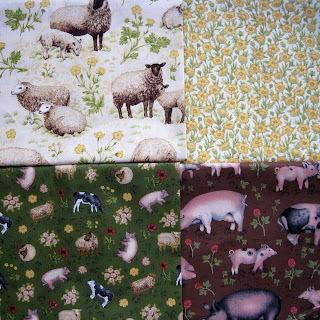 A set of fat quarters for all of you quilters and crafters so watch this space! In an effort to make a little bit of much needed space, I decided to venture where no cleaning lady has gone before, that’s right the spare room. (Under the bed in the spare room to be precise). 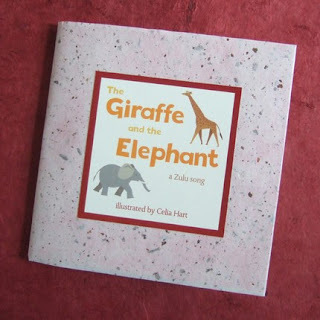 To my amazement I stumbled upon a box of my books, previously published but now out of print children’s picture books. 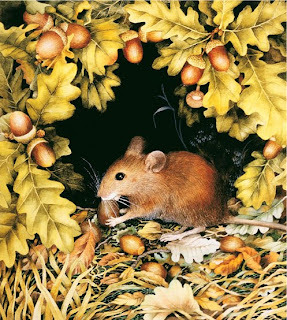 “Down the Lane” is a hardback book and was printed in quite a small edition run, maybe collectable one day, who knows? These “Down the Lane” titles are first edition, signed copies and when they are gone they are gone! And now, where did I leave my duster? PS, I have now fixed the shipping problem, the shop (that is me) will ship from my house (now a dust free zone!) to anywhere in the world. Sorry I got it wrong. 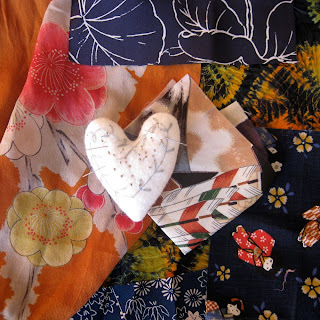 I have been feeling inspired to sew again after indulging in a bit of retail therapy after visiting this delightful blog. The exquisite hand embroidered pincushion is the work of Mouse whose shop I have been raiding recently. 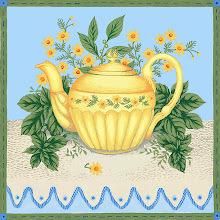 Mouse makes the most beautiful bags and adds lovely hand embroidered details, making each one into a little work of art. My excuse was an attempt to make a head start on Christmas shopping but I have found that I cannot bear to part with all of my purchases! 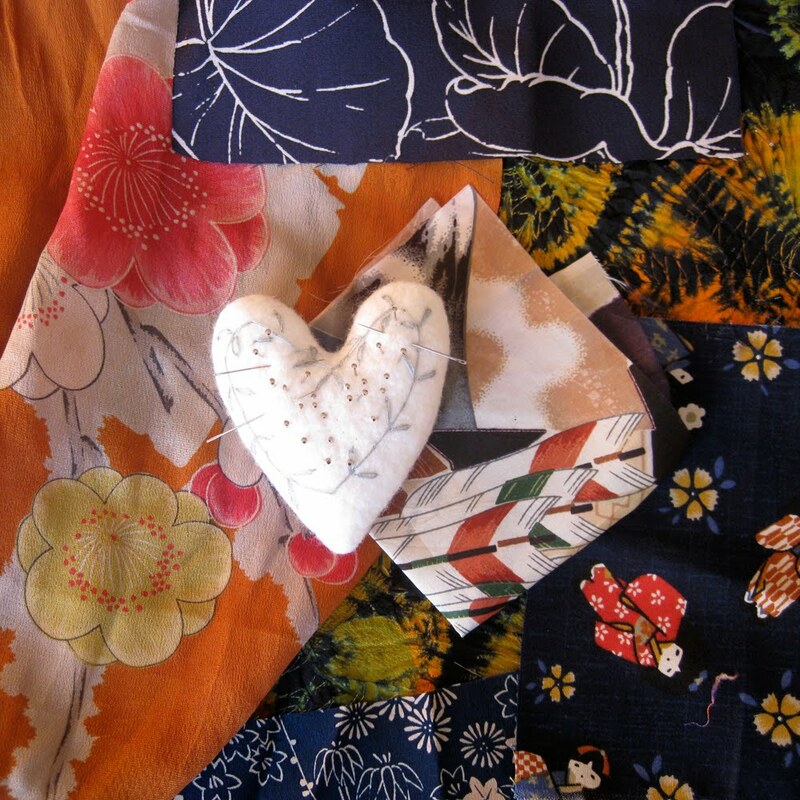 Helen sells Japanese Kimono, jackets, (great for Christmas parties) bags and fabrics, all of which are very reasonably priced. 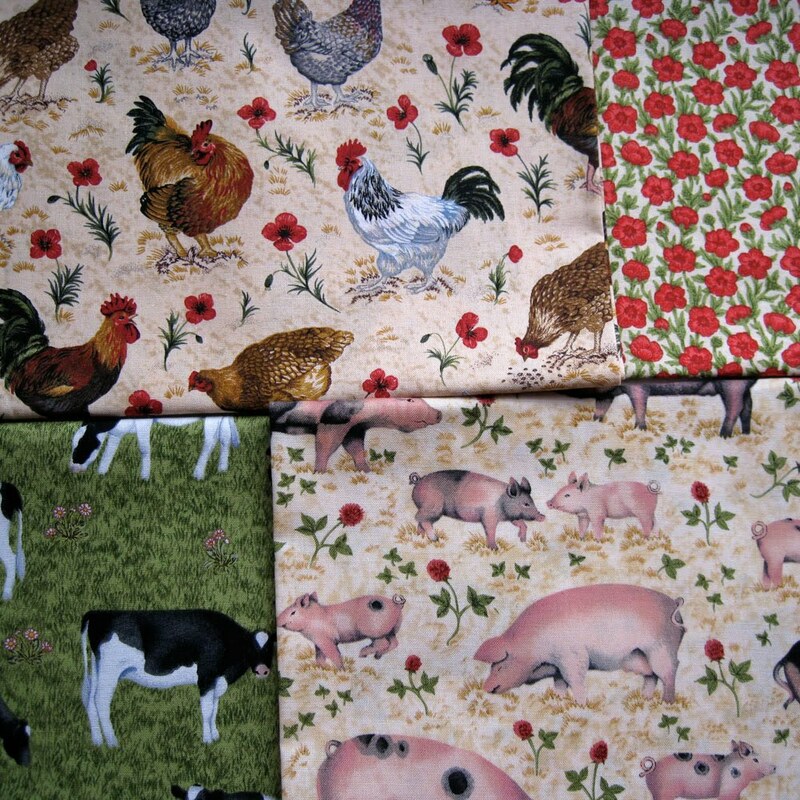 She also puts together little bags of fabrics for people who do patchwork. If you decide to visit, beware, the addiction is catching! Somebody once said to me, “I know where you live, the cows are the same colour as the architecture”. Well, this is not entirely true but there are rather a lot of timbered buildings around these parts and a great many cows of the black and white variety. 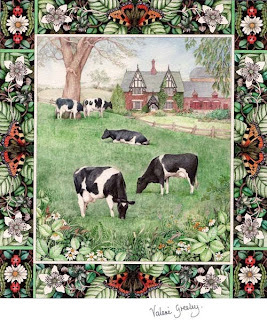 The book illustration shows a typical Cheshire scene, this is taken from my book “Animals at Home”. This book was intended for babies, I know I got carried away with the very decorative border but people tell me that their babies enjoy the book and I certainly had fun. Many of the churches and farmhouses have black and white timber framed sections mixed with brick. Some are entirely timber framed and date back to the Elizabethan period. 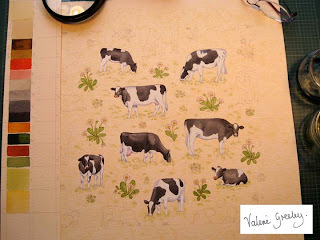 The design on my desk is part of a new “farm collection” which was intended for fabrics for Makower. The final version does however look very different to my original. It has been changed quite drastically, the over scale daisies have been removed and a bright green background has taken over from the cream ground shown here. 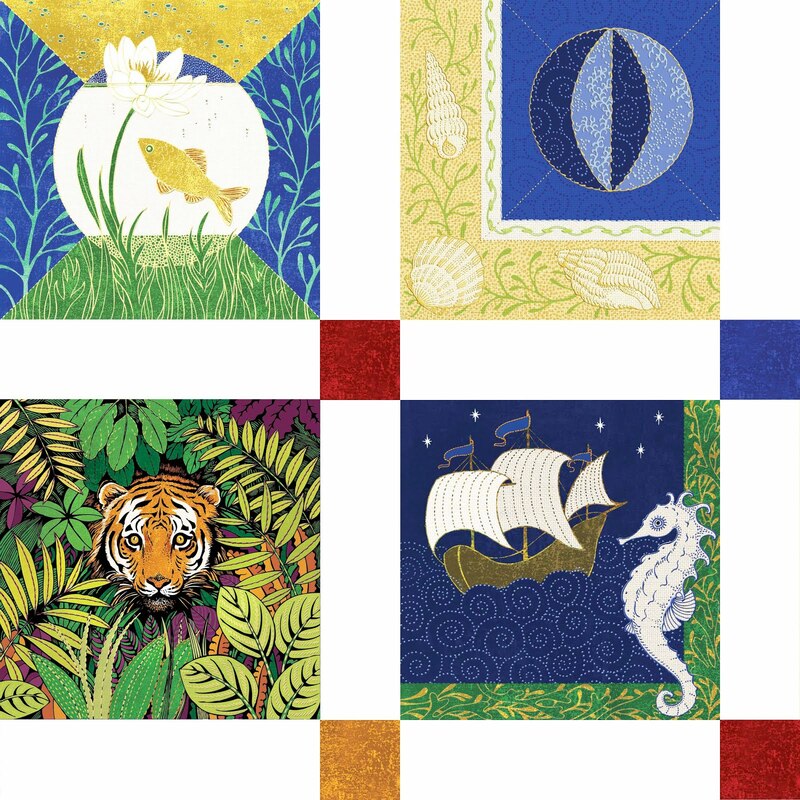 You can see the whole finished collection here; I will leave it up to you to decide which version you prefer! copyright RobertG click on here for more information. 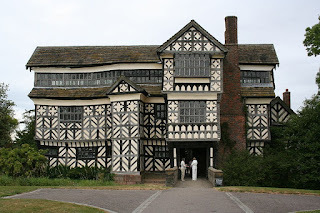 The black and white crooked house is Little Moreton Hall, our nearest National Trust property, it is said to be one of the finest examples of timber framed domestic buildings in Europe and dates back to 1450. It has been added to by various generations of the Moreton family until 1580. 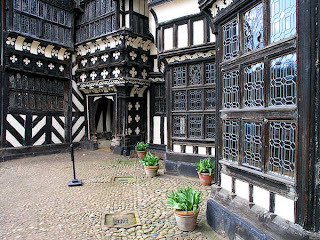 The thing I really love about this house is its Elizabethan knot garden and enclosed cobbled courtyard. You can see some lovely photographs, like the one below by (copyright owner John Beres) by clicking this link. The bidding has begun, this is your last chance to buy original artwork to help a very worthwhile cause. When it's gone it's gone. The artwork currently being auctioned has been donated to The Art for Hearts charity, see previous posting. 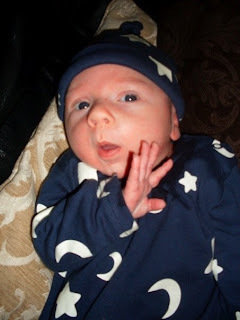 I know I said that I would not turn this blog into a grandma’s boasting blog. I lied. Labels: Art for Hearts charity. 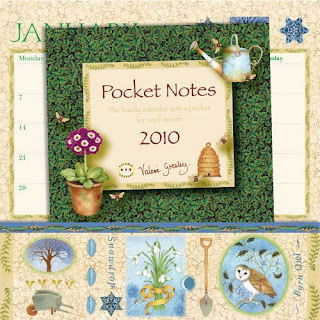 Just kickin' down the cobble-stones, lookin' for fun and feelin' groovy"
I have received some samples of my A3 pocket notes calendar, it's always nice to see the final product but, as with all dated products, fills me full of alarm. As I have got older it seems as if time has speeded up and now we are well into the final quarter of the year. 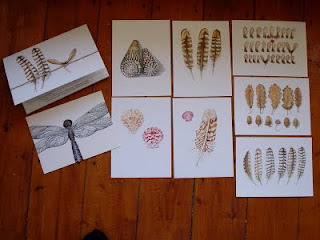 It seems no time at all since I hung my 2009 calendar and yesterday I completed images for a 2011 calendar! Now I am looking at the clock and thinking yet again, what have I done today? Not a lot.